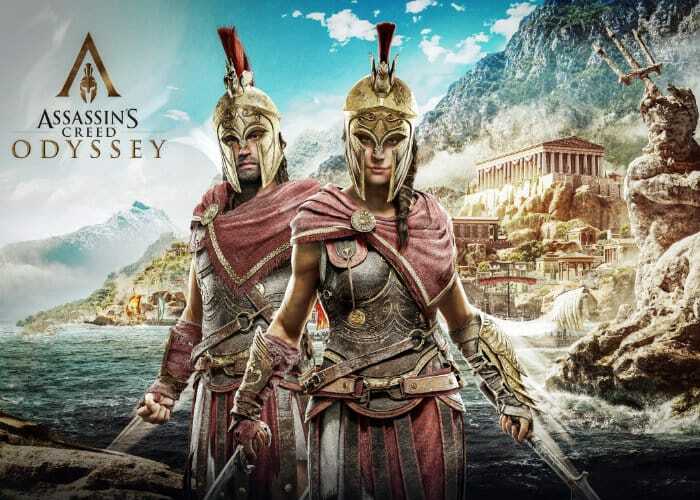 If you are interested in learning more about the new Assassin’s Creed Odyssey game which launched last week and don’t mind a few spoilers. You may enjoy this gameplay video created by KitGuruTech which provides a look just over the first two hours of gameplay. The gameplay video embedded below follows the storyline players will enjoy, so if you’d like to keep all the thrills wrapped up until you purchase the game it might be wise to click away now. – Find uncharted locations, uncover hidden treasures, or fight your way through entire fleets in naval battles. Customize the look of your ship, upgrade weaponry to suit your strengths, and recruit crewmembers with unique perks, tailoring naval combat to your style.